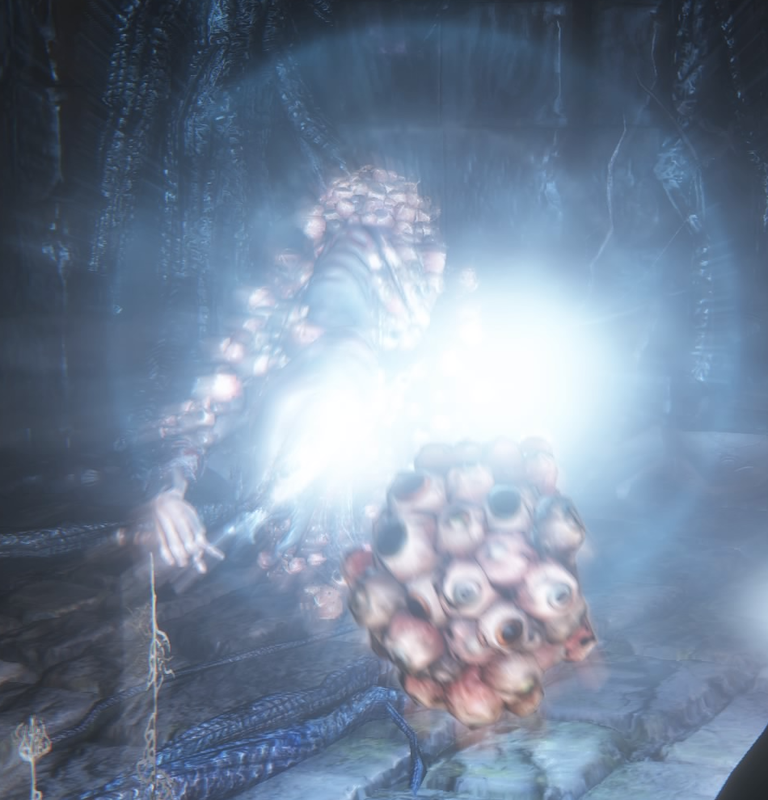 Eye Collecting Witch is an enemy in Bloodborne. 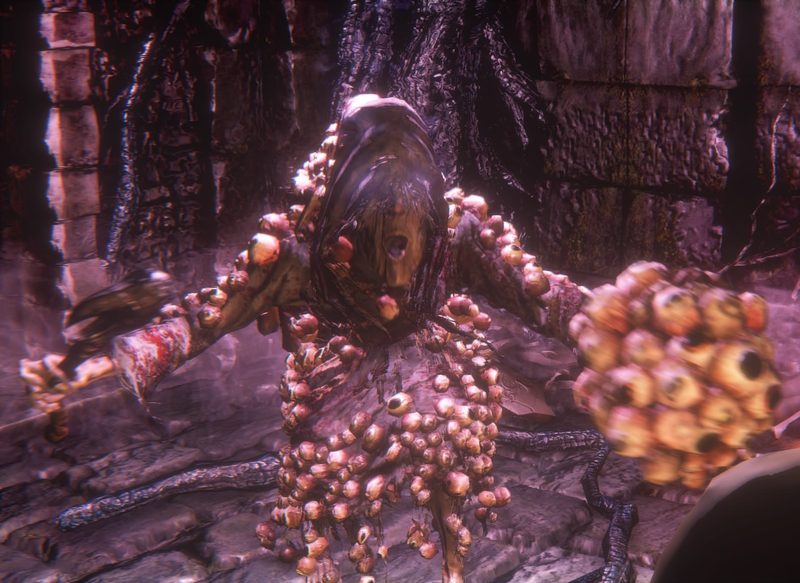 This witch is a very deadly enemy encountered in chalice dungeons. They are nigh identical to The Witch of Hemwick but they do not appear in pairs. They can't turn invisible and their Mad Ones are much more aggressive. Their Mad Ones will be summoned even with zero insight. 1. Magic Ball: Arcane dmg. 2. Magic Snare: Player will be immobile and vulnerable to attacks from Mad Ones. The Witch doesn't tend to attack while you are snared. 3. Dark Explosion: Arcane dmg, will knock you back. 5: Eye Harvest Grab: Will grab you and try to scoop out your eyes. You cannot take dmg from other enemies during this grab. 6. Mad Ones Summon: She tends to prioritize summoning whenever a Mad One dies. All Mad Ones who died before the casting will be revived. The Witch tends to hide in nooks, but if she summons her red aura will give her away. 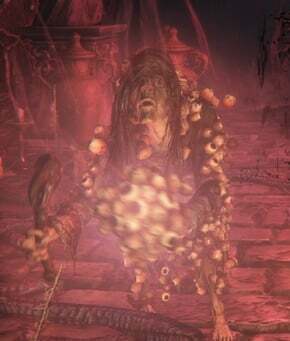 Rushing the witch is tempting but she can have lots of health and Mad Ones can rush you likewise. Favor a weapon with which you can 1-shot Mad Ones quickly, like Holy Moonlight Sword R2 or Hunter Axe L2. You'll need to deal with both the Mad Ones and the witch at once. Kill Mad Ones until you can damage the witch, don't get stunlocked, repeat. 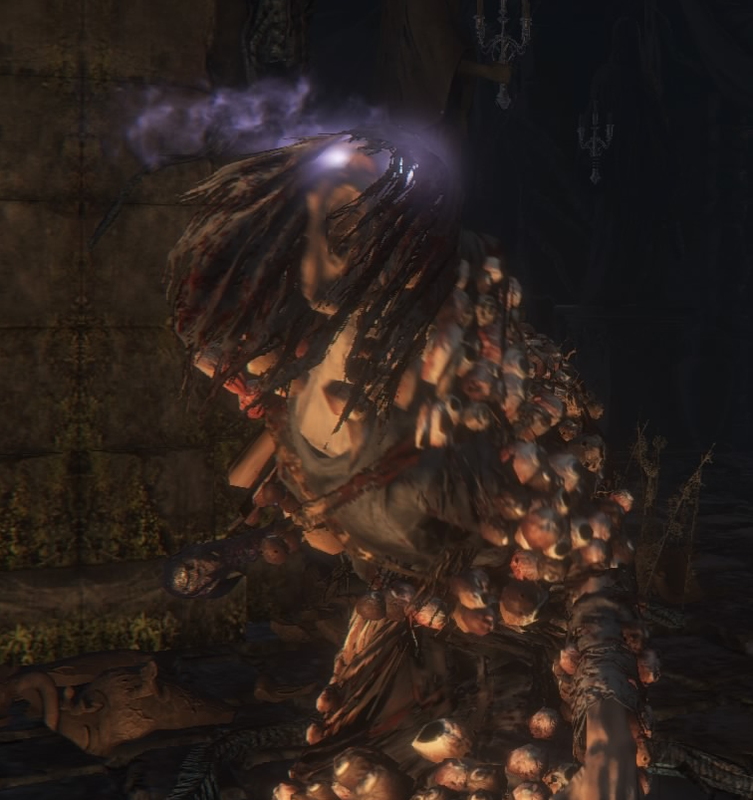 The witch can sometimes be killed safely with projectiles. The witch has dagger like claws on her feet. They really seem to enjoy themselves when they get to scoop out your eyes. 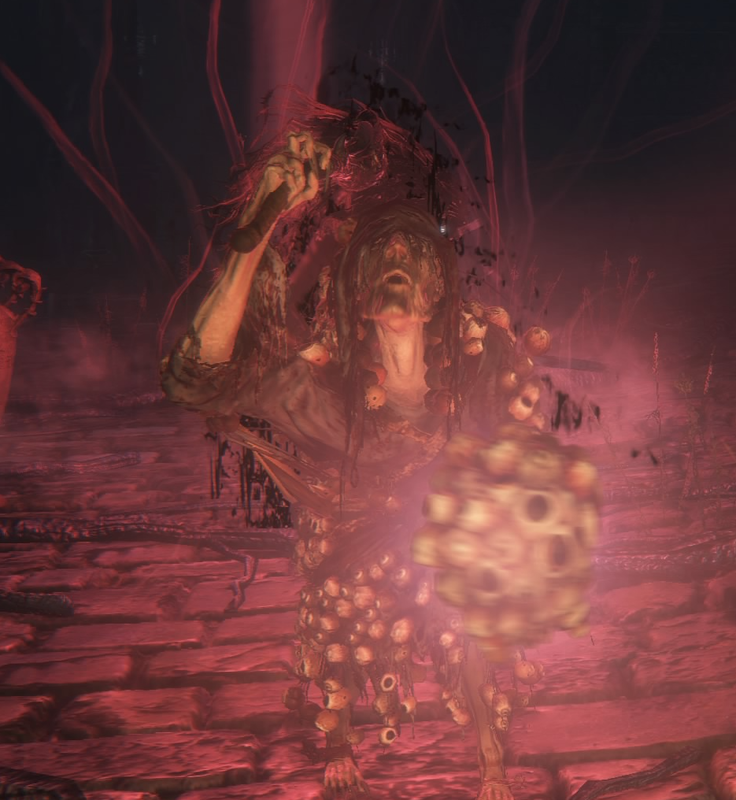 The Mob Version of this enemy can be cheesed by exiting the game & reloading; it resets the "mad-ones" summon. VERY useful if you&apos;re walking around F/R/C dungeons as a level 4.